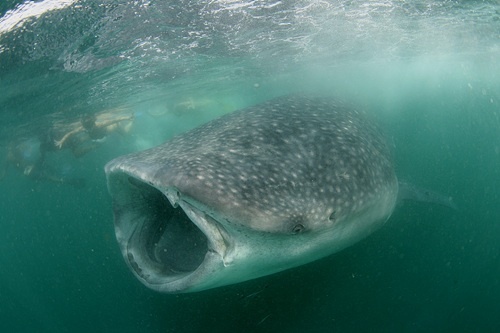 You may see open mouth of whale shark, if you are very lucky. Because they just swallow plankton from the water. We do not disturb to them when they enjoy eat. Don't touch , Don't make big noisy, Don't use flash.